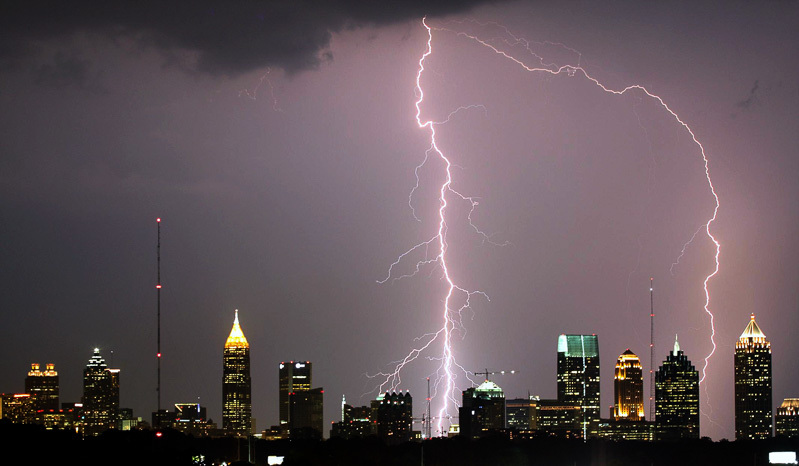 A series of freak lightning storms, accompanying record-breaking flooding around the world, have injured and killed dozens of people just in the past few weeks. 80 people were injured, several critically, by multiple lightning strikes at a music festival in Germany. The multi-day festival had to be cancelled entirely. One man was killed by lightning in Poland. Also, 11 children were struck by lightning in Paris and six of those children are in critical condition. One week prior, 35 people were injured, including three critically, at a soccer match in south-west Germany by a lightning strike. Thousands have been left without power after lightning strikes across Ireland. In the United States, five homes were struck by lightning in Florida and three homes were struck in Texas.